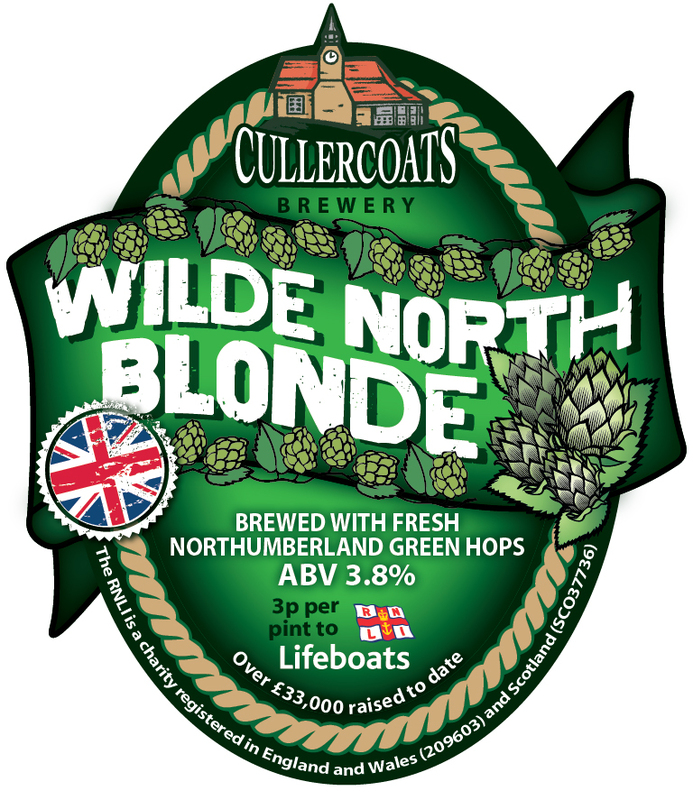 Latest News from the Cullercoats Brewery | Dangerously Good Beer! yes! The fourth festival is coming soon, and we’ve a new beer Iron Or 3.6% in cask and bottle, coming your way in June. Tickets often sell out early so check the programme, it’s varied and full, as always, something for every taste and fancy! http://www.ironpress.co.uk/ can send you the program and you can pick up copies in local cafes and libraries. Here is a link to a digital copy Brochure – Iron Or 2019 Hope to see you in Cullercoats! Beer will go on sale in June at Boda Home. Goodbye January! It’s the time of year we take a breath, and have a few days off. We enjoyed watching England storm through the rugby at the weekend – over a few pints of Shuggy Boat exported to London for the occasion. We’ve been busy brewing to replenish stocks after the Christmas madness and some wonderful specials are coming your way – a Saison called Biscay and new dry hop project beer called Pilgrim and our strong beer Fortification.This means the Fortified series will feature later in the year. If you’re not familiar with these blended beers, you’re in for a treat and can read all about it here. BeerX Liverpool 13th-14th March – we have beer in the keg competition and in the National Finals of the Cask competition! Our bottle sales are increasing all the time, as the number of outlets grows, and we’re often asked why we bang on about them being bottle conditioned – what’s the difference between this and other bottled beers? Fermentation works by the yeast eating the sugars in the wort and giving out alcohol and CO2 as waste products. During fermentation at the brewery the CO2 bubbles off and escapes. Once fermentation is complete and the yeast has magically transformed the sugary wort into lovely alcoholic beer, it’s bottled while still containing some live yeast in suspension. Sometimes a few grams of sugar are added to help keep the yeast going, and the bottles are then kept warm, at about 20 degrees celcius, to keep the yeast active. During the period of warm conditioning (about 2 weeks) the yeast produces a little more alcohol and CO2. Since the beer is now bottled and capped the CO2 produced by the yeast has nowhere to go and dissolves into the beer, carbonating it. The carbonation is smoother and creamier than the forced carbonation of filtered beers, and helps the beer achieve a creay head and lacing down the glass as it is drunk. The best way to pour a bottle conditioned beer is slowly, down the side of the glass, in a single pour, to avoid disturbing the yeast sediment, which naturally falls to the bottom as the beer matures in the bottle. However some people like to mix it in and drink the yeast as well! If you want to drink our bottle conditioned beers with a meal out, why not visit one of these lovely bars/restuarants? If you want to buy bottles, head to Boda Home, Centrale or Fenwick in Newcastle, Coppers of Gosforth, Blagdon Farm Shop or Nicholsons the Butchers in Whitley Bay. GRADE A student in the house! Bill was studying hard throughout last year towards the first year examinations of a Diploma in Brewing. 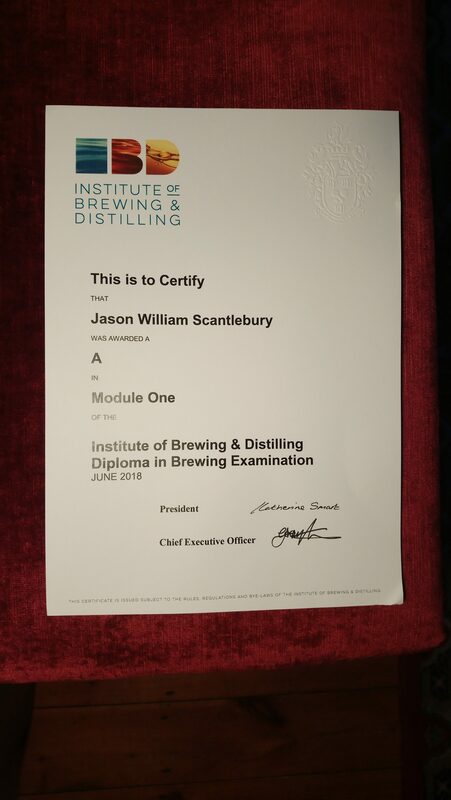 The course is run by the world renown Institute of Brewing and Distilling in London, and is a stepping stone on the road to becoming a Master Brewer, the highest brewing qualification out there. 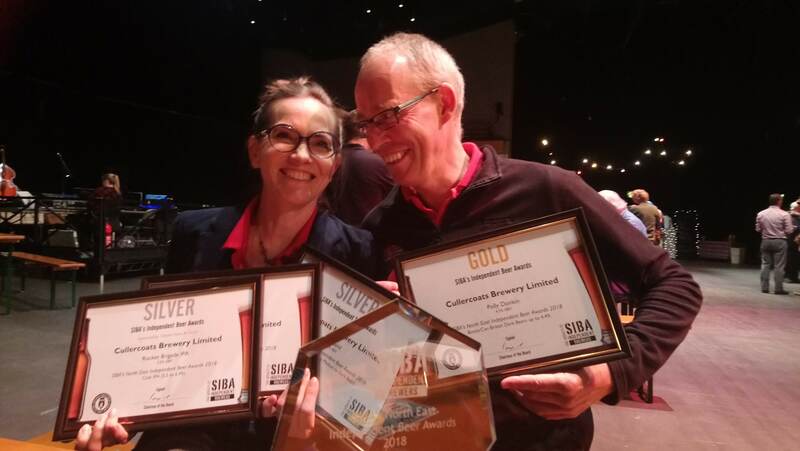 He met brewers from all over the UK and the world, learning the finer details of malt and wort in the brewing process – think advanced chemistry and biology with engineering thrown in! So, after lots of heavyweight reading and studying, lectures, online tutorials, podcasts while out on delivery, weeks of revision then a scary exam – and he goes and gets an A! 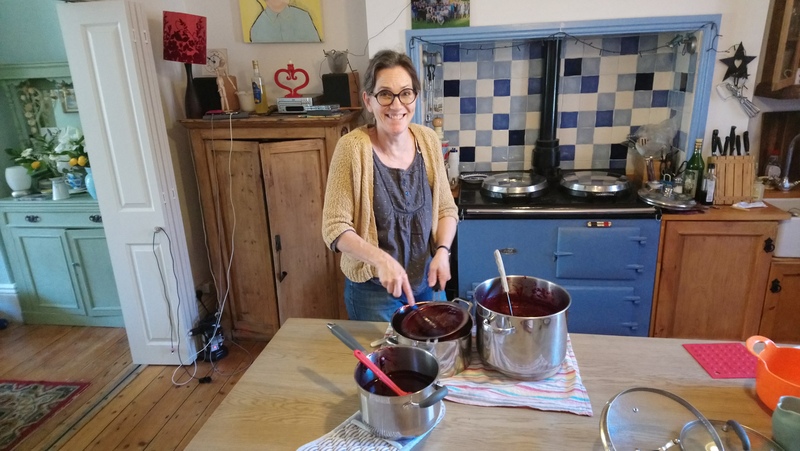 Part two of the course starts in January – the wonder of YEAST, and definitely one of Bill’s favourite subjects (his other pre-occupation is his sourdough production – it tastes amazing and we haven’t bought any bread at home in 3 months). Double Dog on the loose! Our latest collaboration with Dog and Rabbit Brewery in Whitley Bay has just been released, a big hitter Double IPA, dry hopped in the fermenter and in the cask, with bucket loads of US hops – Mosaic, Citra, Cascade and Simcoe. At 8.5% it’s a special beer, worth savouring. 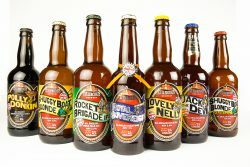 Limited edition bottles available soon at Centrale Newcastle and Boda Home, Whitley Bay. If you’ve ever walked along the Tyne from North Shields Fish Quay towards Tynemouth you can’t fail to notice Admiral Lord Collingwood, on his plinth, gazing out to sea since 1845. The monument is surrounded by cannon from his ship, The Royal Sovereign, which fired the first shot at the Battle Of Trafalgar in 1805. Collingwood helped the British Navy to avoid losing a single ship at Trafalgar, a critical battle in our history; if the Navy had lost, Napoleon could have swept across the channel into England. 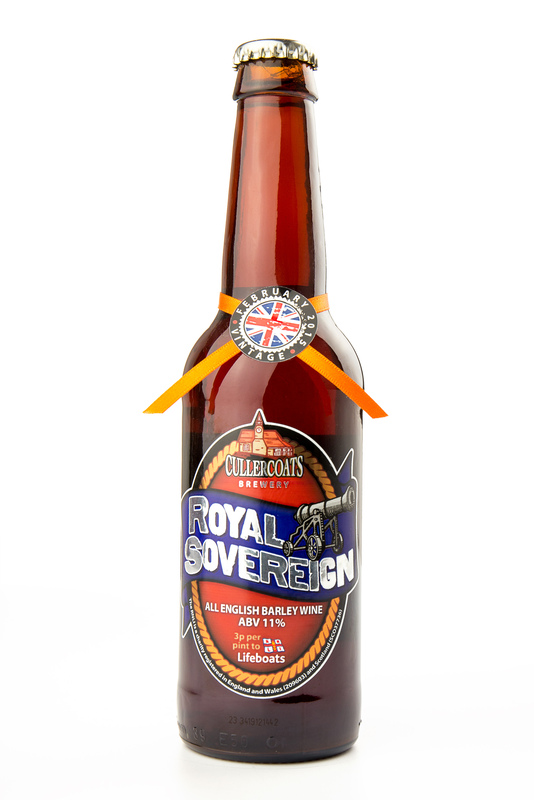 In recognition of this famous Newcastle born hero, in 2015 we brewed an all English barley wine, bearing the name Royal Sovereign ABV 11% . It gets better with age and is tasting amazing, on sale at Fenwick and Boda Home. We love Autumn! and this year’s been extra special with a limited edition (6 casks only) Bramble ale, infused with several kilos of fresh blackberries, picked by the family in Cullercoats, Tynemouth and Whitley Bay. A sumptuous puree was made at home and added to a base of mature pale ale, to give a lovely fruity fresh beer. There wasn’t much of it but it went down a treat at Left Luggage Room, Station House Durham, Office Morpeth and Bridge Hotel, Newcastle. We’ve just taken delivery of some expertly roasted “Black Middens” coffee from Tynemouth Coffee Company, ready for our next Shipping Forecast Ale PORTLAND. This will be a very special coffee porter, brimming with a cornucopia of different malts and fresh fresh coffee. Locals to the coast will know that Tynemouth Coffee Co supply Cullercoats Coffee, our local coffee shop, which is well worth a visit for a tasty brew if you’re in the village. We’re planning on bottling a few Portlands, so if you miss it on the bar in July/August you might be able to try the bottle conditioned version later in the summer or in September. It’s all go this week as Rockcliff Rugby club gear up for their annual beer festival. Friday 25th-Sunday 27th May – you’re in for a treat with beer, cider, gin and fizz, live music and street food from the superb Hadrian’s Pizza. 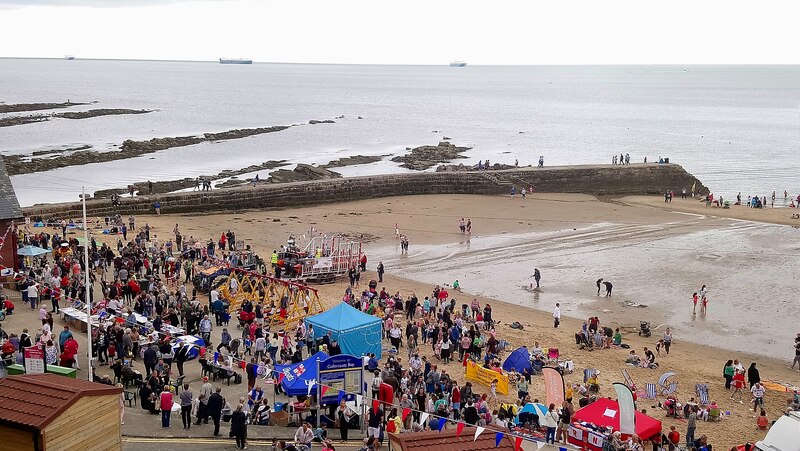 Whitley Bay Carnival is also this weekend, so come to the coast! We’ve got a special in the pipeline to mark the Football World Cup, a smooth, easy drinking pale ale, hopped with Challenger and Jester and Olicana late on in the boil for extra fruity aromas. All English of course! At 3.8% you’ll be able to enjoy a few and still keep your eye on the ball. 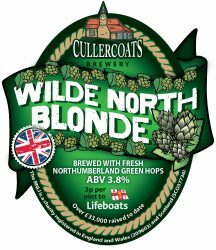 This is a limited run beer, available from June 4th so any Landlords out there who want to reserve a cask or two, do get in touch on 07895 692 881. Finally, we’re just back from a weekend in Edmundbyers, a lovely spot about 20 miles form Newcastle, though you’d never guess, it feels so remote and tranquil! The hostel is run by Debbie and David with a campsite at the back, and a fabulous bar (called BAA) at the front, with a great selection of always changing real ales, lagers, gins and wine. The Punch Bowl, also in the village does great beers too and has a tasty lunch and dinner menu, well worth a visit. We camped Saturday and had lovely supper at the Punchbowl. Sunday we enjoyed a long yomp across Blanchland Moor, and back along the river; a fantastic walk with curlews, grouse, bluebells, yellow wagtails, lambs galore, wild garlic, and an abundance of wild flowers. No adders, although plenty of signs warning you about them! PS if you’re fans of Boewulf, there are two giant statues from the set in the campsite just now, also enjoying their holiday from filming nearby!